I was reminded again today of how handy it would be if I were a nurse or doctor. One of the boys’ eyes got bloodshot yesterday afternoon. I wondered if he was belatedly succumbing to the ragweed allergy that is plaguing me, but it seemed unlikely that it would only then begin to bother him. I kept a watch on him. He seemed to feel perfectly fine (unlike me). When he got up from his nap, the telltale goop was forming across his eyelids. I dutifully went to the pediatrician this morning and got a prescription that will hopefully clear it up. But it might not- Conjunctivitis can be caused by a bacterial or viral infection and can involve more than just the eyes. It is highly contagious and we are likely to pass it around our large family. You don’t get an immunity to it- you can get it more than once. It’s important to change your pillowcase, wash towels frequently, and keep your hands away from your eyes. I learned a little more today- some from the doctor, some from my own research. So, I was reminded again that I am limited to what I can stockpile for various health problems by my lack of a medical license. But I also realized again that my knowledge about health-related issues is quite limited, despite my self-study. That brings me to this- what are you doing to improve your medical skills? If you are in the health care field, what do you recommend others do to expand their knowledge in a reasonable time frame without a student loan? We already own several good books (like Where There is No Doctor), but I’d like to have more practical knowledge rather than just reference materials. I’ve had Red Cross First Aid classes and they are good for the very basics. What kind of courses are available that go beyond that and which are most practical? Although it would be really nice to get a 2 or 3 year nursing degree, I don’t think I can be a full-time college student again at this point in my life, nor do I think I have time to complete a full degree before I may really need this information. What do you recommend? ← Do We Have What It Takes to Survive TEOTWAWKI? 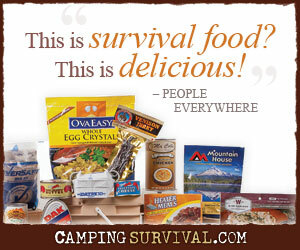 That’s a great idea CharliePrepper! I can see that it would definitely be a time and community commitment, but well a very worthwhile experience all the way around. Beyond that, you’d get to know a lot of people you may not otherwise have contact with and probably find other like-minded folks (or at the very least, find out who you need to keep your distance from! ).